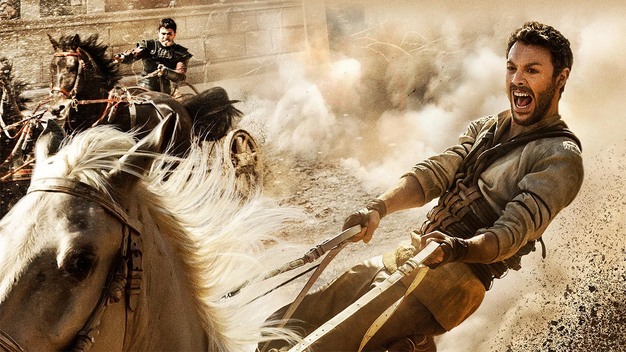 The new remake of BEN-HUR is officially the biggest box office flop of 2016. Is anyone surprised by this? It's current worldwide b.o. tally : $53 million. The budget of the film was well over $100 million. The film was badly conceived from the get go. It tried to do a FAST & FURIOUS style film with this classic story. Oy! That's just one of the many ill-conceived aspects of this modern remake. Don't expect a major PEPLUM film from Hollywood in the near future. The genre is dead. I agree fully that the Peplum genre is stone dead. In addition to this spectacular flop, other recent big failures include GODS OF EGYPT, EXODUS:GODS AND KINGS, and POMPEII. THE MUMMY was the last commercially successful flick, but it was only a semi-Peplum. AGORA was enormously better than the above Peplums, but its anti-Christian theme (inherent in the subject of Hypatia of Alexandria) rendered it a niche product in the U.S. market. AGORA did noticeably better in Europe, where Christianity is no longer taken seriously by most people. Unfortunately political correctness and Islamophobia mean that the Arabian Nights/sword and sand genre is also quite finished. This is too bad, as this genre produced some most enjoyable (and very campy!) Technicolor flicks in the 40s and early 50s starring Maria Montez, Yvonne De Carlo, and others. I don't believe the peplum genre is dead - its these cheap cheesy CGI recent items that just do not attract us or the casual viewer, they have been made with no love or understanding of the genre. This new BEN HUR is just another cheesy CGI item for a week or two at the multiplex lacking everything that made the 1959 film so great - it still gets shown lot here too in the UK. The new version (it opens here this week) is apparantly 90 minutes shorter than the '59 film, with no nativity or much religious background and Quintus Arrius is not even in it ! Well, they can keep it. The 1959 film will continue to be watched regrdless.